A moving violation such as running a red light rule or a non-moving traffic violation such as a registration or inspection ticket are seemingly minor infractions. However, said violations can still result significant repercussions for individuals. NC Traffic violations can be expensive and time consuming since many violations require your appearance in court. An experienced traffic ticket attorney can explain the traffic and insurance laws to you in a way that makes sense and can save you time and money in the long run. Individuals need to understand that tickets are not viewed individually. The individuals record (as well as family members) is used to determine the effect of the subject ticket. For example, North Carolina features the Prayer for Judgment, where motorists who violate traffic rules plead guilty for an offense and then request for Prayer for Judgment from the judge. However, to determine the effect on your insurance you have to look at what the other members of the household have done over the prior years. A traffic ticket lawyer is if you live outside of North Carolina, but received the traffic ticket while within the state. Many tickets carry mandatory appearances in court. Many times a traffic ticket attorney can appear on your behalf, thereby saving you a trip back to NC. The role of a traffic lawyer is to defend individuals charged with traffic-related infractions. 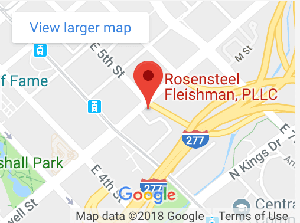 In the case of NC motorists, traffic lawyers such as those from Rosensteel Fleishman, PLLC cater to private motorists that need assistance on contesting their traffic ticket in court. A reputable NC traffic ticket lawyer should have extensive knowledge and deep understanding of current traffic laws in North Carolina, such as those implemented in places like Charlotte, Gastonia, Concord, and Monroe among many others. The traffic rules and regulations in these jurisdictions are distinct from those implemented in other states. With this in mind, it is only best to seek the expertise of those who have served motorists in these above mentioned locals. Going to court without legal assistance can be time consuming and tedious for many motorists with traffic tickets. Taking time off from work and preparation for contesting your ticket in front of the judge can be a very stressful activity, especially among first time traffic offenders. A reputable traffic lawyer defending your side right from the start will save you time and money. An experienced lawyer will explain your rights, as well as your risks. Many times clients are surprised to learn that they face losing their driving privileges. The last thing that you need is a suspended or revoked license on top of the fines that you need to pay for supposedly violating traffic rules. The majority of traffic tickets can be handled without your presence in court. These include speeding tickets, red light violations, and other moving violations. Our traffic lawyers will prepare the necessary documentation and inform the court that you will be represented by one of our lawyers. Our traffic attorneys will work closely with you so that we are equipped with correct information, which we need in representing and defending you in court. Comparing the cost of our professional fees alongside higher insurance rates, license suspension, and possible jail time as penalties of being found guilty for a moving violation, the professional fees of traffic lawyers are extremely reasonable. Our highly competent traffic lawyers assist motorists throughout North Carolina, including Charlotte Mecklenburg County, Gastonia Gaston County, Concord Cabarrus County, and Monroe Union County among many others.